* Z270X-Gaming 9 / Z270X-Gaming 8 only. Combining the world's first Quad-Core Audio Processor, Creative Sound Core3D, Plus Advanced Creative SBX Pro Studio™ Audio Suite. + Richer overall audio experience. The ALC1220 is a high-performance multi-channel High Definition Audio Codec with up to 120dB SNR for crystal clear audio and features such as Smart Headphone Amp, 108dB SNR recording for precise voice chats and hardware decoding of DSD128, ensuring users get the best possible audio quality from their PC. The Sound Blaster X-Fi MB5 provides you with everything you need to stretch your audio experience potential. It’s a comprehensive suite of tools, equipped with cutting-edge technology and premium audio quality, effects and features to support your needs. 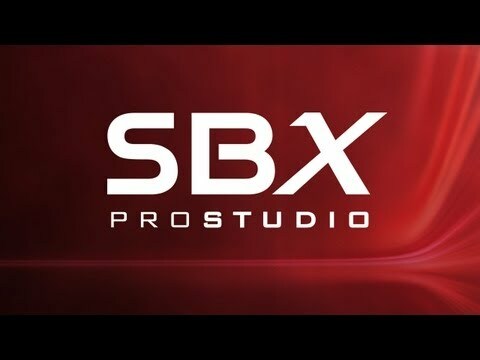 Featuring SBX Pro Studio™ suite of technologies, it gives you the fullest audio experience – like no other. The Z270X-Gaming 9 and Z270X-Gaming 8 boast a combination of Hi-Fi grade WIMA capacitors and Nichicon audio grade Fine Gold capacitors. While the Nichicon Fine Gold capacitors are suited for high-grade audio equipment, using state of the art technology to provide rich sound in the bass and clearer high frequencies, the WIMA FKP2 capacitors are being used widely in premium grade Hi-Fi systems. The addition of this to the exclusive AORUS AMP-UP Audio technology makes for the ideal onboard sound solution for the most demanding audiophiles. AORUS offers true sound customization with its triple upgradable OP-AMP solution. To ensure users receive the best sound profile matching their needs and experience the most enjoyable audio, AORUS has included an OP-AMP for both left and right channels on the rear I/O as well as a dedicated OP-AMP for the front audio jack. + Improve audio dynamics and overall sound-quality with little cost. + No need for expensive speakers or high-end audio equipment. AORUS improves upon USB DAC-UP technologies with USB DAC-UP 2. USB DAC-UP 2 continues to provide clean, isolated and low-noise power while adding the ability to compensate for voltage drop. Virtual reality pioneers and gamers alike can rest assured that their expensive accessories and peripherals will not encounter connectivity or power deficiency issues with the AORUS USB DAC-UP 2. With Gaming Gear drawing large amounts of power and having firm specification requirements USB DAC-UP 2 is up for the challenge.